Thomas Loaring Plucknett born in 1809 at Thorverton in Devon was my great great great grandfather. For those of you who have been following this series (thank you) he was the father of Lizzy Plucknett (the recipient of the Valentine’s Day poem and future bride of Francis George Sternberg). I think it is my favourite ‘ancestor’ photo. Somehow the man’s strength of character and determination stand out over the years. It is also the oldest direct ancestor photograph that I possess, albeit a copy of the original. My father spent a lot of time researching the Plucknetts and TLP in particular. This is an extract from a letter he wrote to a very helpful local historian in Devon in 1993. …My gt.grandmother was Elizabeth Plucknett, baptised at St. Paul’s, Exeter…… Her grandfather, Thomas Plucknett married Elizabeth Loaring at St. Sidwell, Exeter, and, unusually for that time, the marriage register gives his occupation – Drummer in the Marines, Plymouth Division. I followed this up in Admiralty records, and found that he enrolled in 1796 and was discharged, unfit, in 1803, which was when he came to live in Thorverton. His baptism was given as 1791 (sic) at St. Sidwells. Presumably he settled in Thorverton because it was his wife’s home, but I have not yet done a great deal of work on the Loarings. I was greatly puzzled for many years because I could not find his son, Thomas (Loaring) Plucknett in the 1861 census. Two attempts, with a 20 year interval, failed. Recently, without going into details, I found him in London……. Before he left Thorverton, his second daughter married a William Henry Clout, a butcher of Kennington. W. H Clout was also a witness at the marriages of the next two daughters, Sarah and Lucy in 1870 and 1871 (both at Clapham). He was evidently quite important in the family and I am wondering if he originally went to Devon to buy stock and later persuaded his father-in law that it would be a good move to go to London. This, of course, is only supposition and probably quite wrong. Much as I respect my Dad’s research on the above and so many details of our family history, I can’t help feeling that he rather misinterpreted TLP being in London in the 1861 census. It seems to me that he was either staying close to the Clouts’ home in Bradley Terrace, Lambeth, or that TLP and his wife had a London base of their own – in other words he was only visiting London. I do think though, that his guess at W. H. Clout’s reason for visiting Thorverton makes sense. The arrival of the railways in Victorian Britain saw the end of traditional cattle droving, with a rise in live meat and dairy transport to Smithfield and other markets in London. He is described as what I think is a ‘Butterman (Master)’ in the 1861 census – the handwritten version is difficult to decipher and gave Dad trouble – but this would tie in with his description in 1878 as a ‘dairyman’. I think Dad was quite right about William Henry Clout’s influence though with regard to trading in London. He was living in Thorverton in 1871 and died there in 1880, at the age of 70. The other matter that interests me is the mill. Edward Coombe married Thomas Plucknett’s daughter, at Thorverton, in 1823, and is described in the marriage licence bond as a miller. He ran the mill at Feniton until he died in 1840 and then his sons Thomas Loaring and James Coombe ran it successively. They had another brother, Edwin, and I am wondering if it was he who later took over Thorverton Mill. Thomas Plucknett’ younger son, James Summers Plucknett. was also a miller, first at Tipton St. Johns and then at Honiton. My grandmother had a story that her grandfather (Thomas Loaring P) defended his mill with a pitchfork single-handed against anti-corn law rioters, but as he was never a miller this cannot be true. But I have found out that there were food riots in the Honiton area in the 1840s, so it could have been one of the other members of the family. TLP was a forceful character, well illustrated by this extract from the Western Times, 01 Jun 1869. TLP seems to have had a rather defiant nature all of his life. 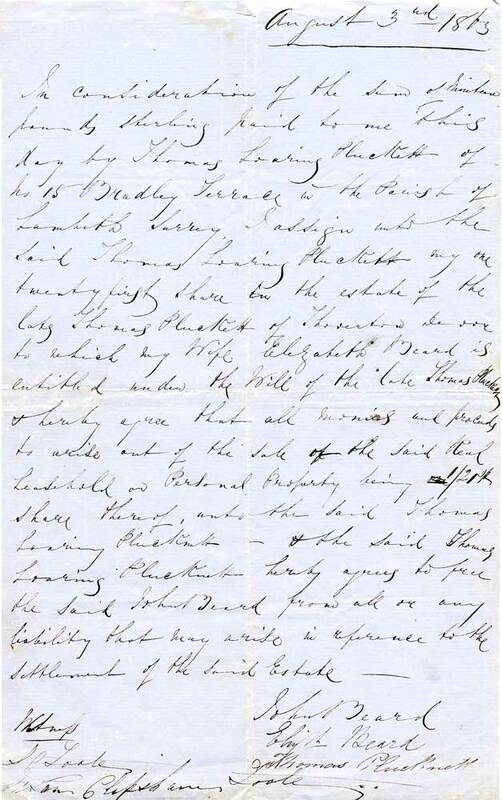 When he married Harriet Tootell in April 1829, they were both under 21 and therefore needed parents’ permission. Bearing in mind the fact that their daughter Lizzy was born in July 1829, it is easy to imagine that the teenage Thomas had left Thorverton and gone to the ‘big city’ of Exeter where life was less restrictive than that in a small village. His father Thomas was by this time well established in Thorveton and within a couple of years of his marriage, TLP was back establishing his bakery business in the Bury. 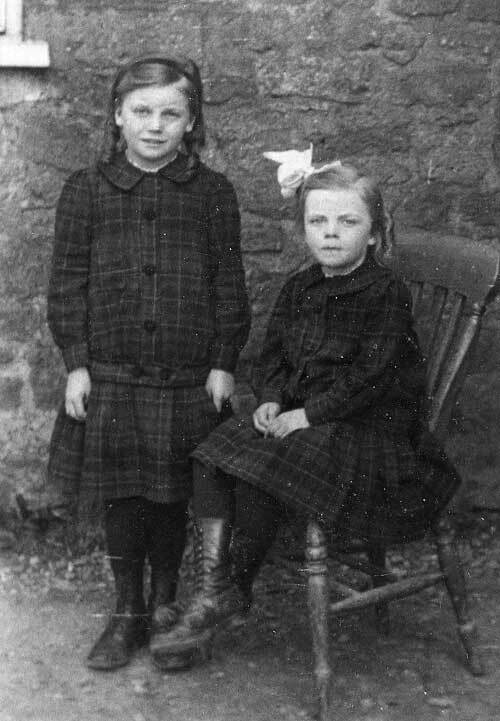 Lizzy and her sister Emma left Thorverton at a young age and TLP seems to have tried his hand a several ventures from baking bread to cattle dealing. In 1854,Thomas Kingdon (cider manufacturer) of Netherexe took Thomas Loaring Plucknett, baker, to court over the latter’s manuring (or not manuring) two meadows he leased from the former and his seeding out (or not seeding out) an orchard. Through his solicitor, Plucknett insisted that he had manured and seeded out the land in accordance with the terms of his agreement in a proper husbandman-like manner. The Judge’s decision seems to have been that he was guilty, but not by much. He awarded the plaintiff not the £10 demanded but merely 7s 1d. He was not an exucutor of Thomas Plucknett’s final will made in 1860, shortly before his death and only a week after the death of his daughter, Sarah Coombe. The sole executor was James, TLP’s younger brother by five years and whilst all of Thomas’s three children, (or heirs), were beneficiaries, James had authority to make decisions about retention and disposal of property. This was perhaps strange, since TLP was the eldest son. Maybe, just maybe, Thomas senior did not trust the judgement and business acumen of his first-born. The one twenty first share is interesting, since it presumably is calculated as one seventh of one third share. 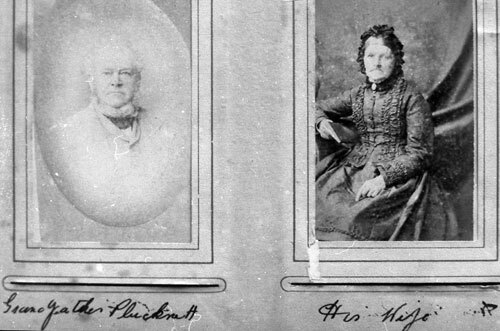 Edward Coombe and his wife (née Sarah Loaring Plucknett – TLP’s sister) had seven children, so they must all have lived beyond childhood (Edward died in 1840 – the year of his youngest son’s birth) and been living in 1863. This was an unusually high survival rate for a Victorian family. The Bury (Berry in older documents) leads from the church, left to Bullen Street running vertically. The Church and churchyard where several of my ancestors – Loarings and Plucknetts – are buried is to the right and slightly below centre. 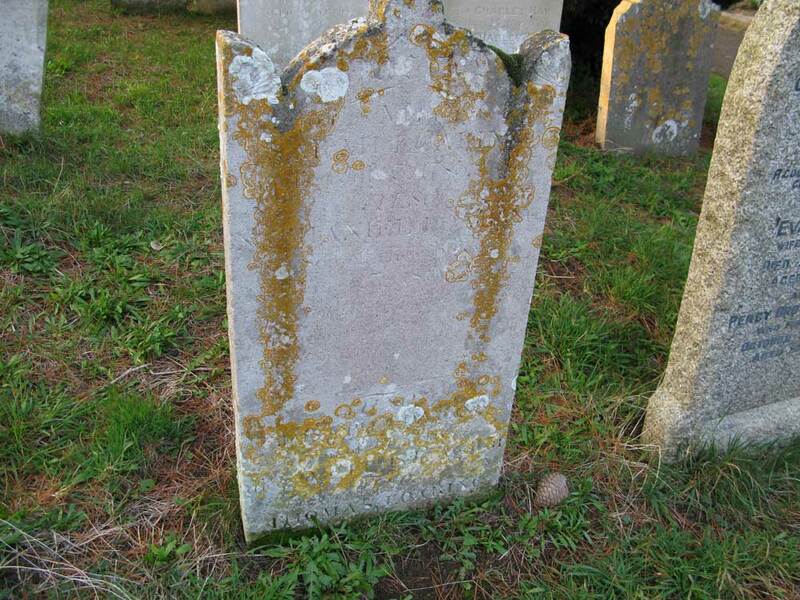 also Emma, wife of the above, died 6th Oct. 1885 in her 74th year. Although Thomas Loaring P’s children were baptised in the Anglican church, he was not a docile parishioner. He objected to an increased church rate in 1865 (DWT 2 Jun): … The Vicar resisted the amendment proposed by a non-churchgoer (at which) “Mr Plucknett said he didn’t go to church because he had been turned out of his seat, and he wasn’t coming to church, for nobody could benefit or learn anything from the reverend gentleman (laughter)”. The reference is to a new seating plan of 1864, from which his name is absent. I am descended from TLP and his first wife Harriet (Tootell). Sadly, no photo of Harriet exists to my knowledge. TLP’s maternal grandmother was Sarah Tothill Summers, probably the daughter of Sarah Kellan and her first husband Thomas Tothill (on his death she married Simon Summers), It seems likely that Tootell is simply a variant of Tothill, so that Harriet had roots, or at least relatives in Thorverton. In fact there are records of Tothills being baptised in the village church going back to around 1640. So the Plucknetts, Loarings and Tothills were very much families of that part of Devon for two or three centuries. Thomas Loaring Plucknett and his second wife Emma. The handwritten description is by Elizabeth Plucknett, TLP's daughter, Emma's stepdaughter. 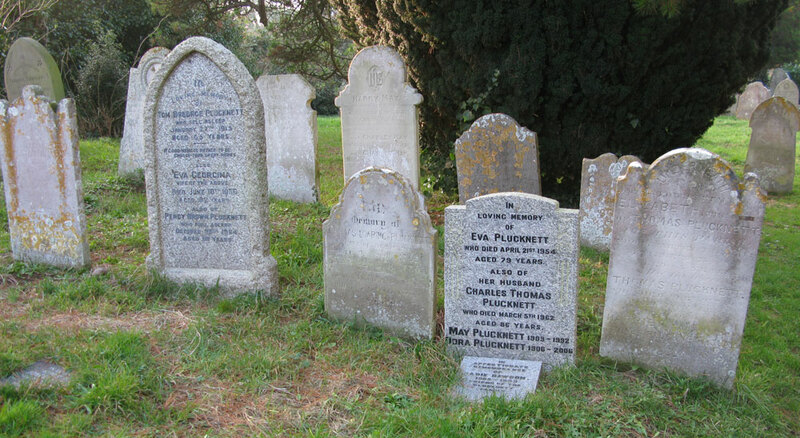 Tom’s son, Charlie Thomas Plucknett married Eva Price and their daughters Dora and May were the last Plucknetts to live in Thorverton. 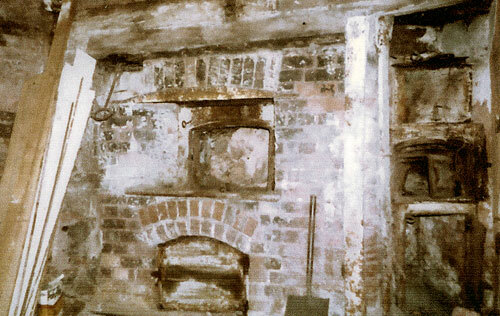 The sisters ran the Dairy, Thorverton’s shop, which finally closed in 2007. May died in 1992 but Dora had almost reached her hundredth birthday when she died at Crediton in 2006. My father met Dora Plucknett (his half second cousin once removed !) in Thorverton in 1996, adding another ‘face’ to these pages of history. Lucy Harriet’s descendants live in Australia from where both Dad and I have exchanged information with Helen Swaine. Sarah Babbage Plucknett spent most of her life at East Molesey in Surrey – more details to follow from Rosemary Binnie as mentioned in her comment, below. My thanks to Ian Stoyle of Thorverton for his help with so many details. I enjoyed looking at your pages. If you ever need Loaring ancestry going back I have it (from Maurice Loaring: you may already know about him). There is a mill in Honiton that was operated by Loarings I think as far back as 1700s, on 1704 tax records William Loaring and Mary, refurbished as a private residence in 1986 by Ian Lange and Architect (?) of John Wood, Honiton. Thomas Loaring Plucknett is descended from them. Thanks for your comment David and the subsequent information about our mutual ancestors in Devon. I will incorporate this in a new page soon. Found these pages really interesting as I did not know much about the Plucknetts except they were connected to the Berry Dairy. My gt grandmother was Sarah Babbage Plucknett, as you say she married in Clapham but the family lived all their married life in East Molesey, Surrey where her husband, William Crick was a postman and later an insurance man. I have a photo of William and Sarah with their two children if you are interested. I have realy enjoyed reading about the Loarings and looking at the pictures, i only wish my mum was alive so she to could see part of her family history. very interesting, my late dad (thomas archibald loaring ) cousin of maurice mentioned by david in canada. John, I live in St Ives Australia.My paternal grandmother was Sofina Plucknett(b1873the daughter of Elijah Plucknettb1835 Queen Camel Somerset the son of Frederick Plucknett & Sarah Martin. Elija arrived Australia 1857 & married Susan Jolliffe. Since I have retired I am doing the family history.Thank you for your website. Thank you Joy. I’m glad you have found the website useful. I would be interested to know more about Elijah when you have time ? .A brother James had a VinegarFactory in Bristol& when he came to Aust had a Coach Building firm in ChermsideBrisbane..Brothers Samual& George also came to Australia. Samuel’s son Edgar Ewart Plucknett, was awarded the Military Cross in 1918.Another brother Frederick lived in Bristol & was given an OBE in 1919 by the King for Military Service. The Plucknett Family back to 1066! John,In doing more research into family history, I have found that Elijah’s brother Frederick died 1895 aged 51 years in Queen Camel Somerset. The Frederick who lived in Bristol was Elijah’s brother James’s son Frederick. Elijah’s nephew. He married Lizzie Jane Morris and lived in Bristol. to Australia (he was Frederick’s brother) and he recieved a telegram informing him of his brother’s OBE in 1919. John, I have researched Thomas Loaring Coombe in Australia http://www.coombe.id.au/mig_Thomas_Loaring_Coombe.htm and linked to your research. Welcome your comments.